From 25 – 30 September 2014, the cultural festival week to highlight the beauty of terrace fields will be held in Mu Cang Chai District, Yen Bai Province. 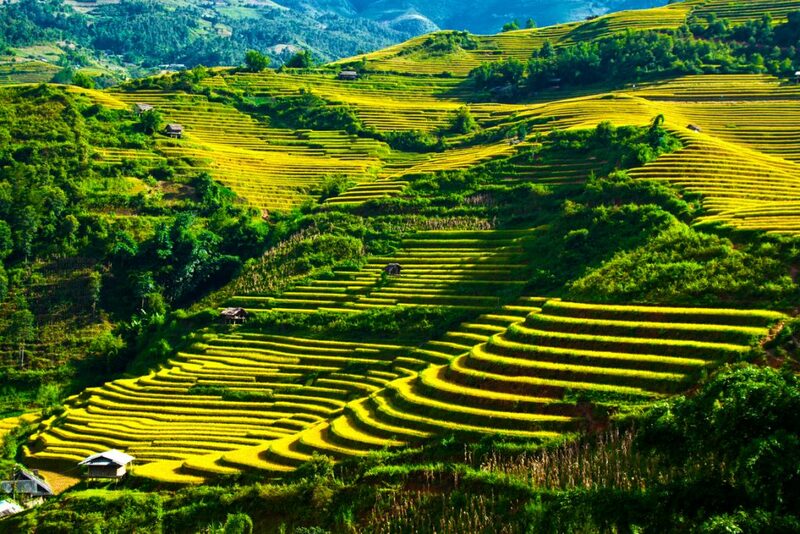 The festival aims to recognize the value of rice terraces to the development of tourism and agriculture of Mu Cang Chai District as well as the beauty of Mong ethnic minority’s traditions and cultures. It is also an occasion to celebrate 57 years of establishing the district of Mu Cang Chai (1957-2014). During 5 days of festivals, various of interesting activities will be took place, including Mountainous Fair with 14 stalls displaying and selling local specialties; ethnic minority costume fashion show; traditional wine making competition, the Mong’s rice cake making competition, making traditional local instruments, etc. Especially, from 26 – 29 September, you will have chance to join with The North Paragliding Club to fly from Khau Pha Pass to the foot of terrace fields. There are about 120 pilots taking part in this performance. It will be a very distinctive experience to fly paraglide upon beautiful terrace field. Rice terrace field is one of the most charming and vivid site in Northwestern region generally and Mu Cang Chai District particularly. This man-made attraction creates the very stunning scene for this mountainous area. Terrace fields in Mu Cang Chai are beautiful all-year-round. In March, the fields are sparkling with water. From May to August, the fields are covered by a lush and everlasting green of rice. And especially, in early September, the rice turn to ripe, which create an awesome view of yellow “carpet” all over the mountain sides.